Note: get up-to-date information on rewards in your city. Our vision of safe, reliable rides – anytime, anywhere and for everyone – is made possible by hundreds of thousands of driver partners who are the bedrock of the Uber network. 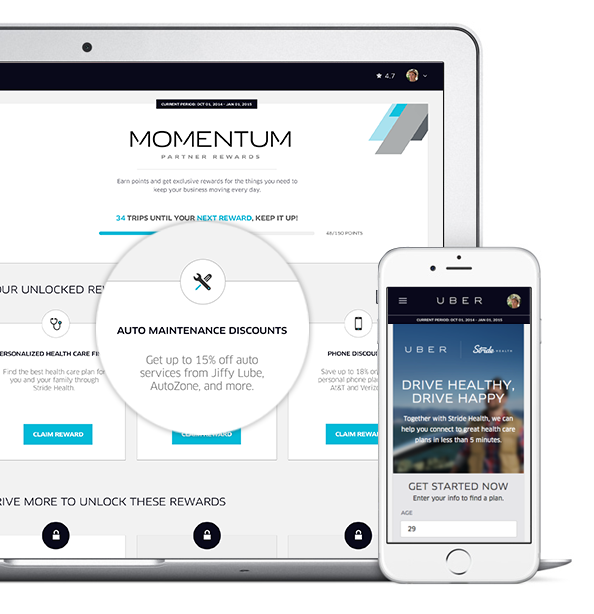 We’re always working to make Uber the best platform for partners to build a small business, so today we are excited to introduce Momentum – a rewards program available exclusively for Uber driver partners. We listened closely to thousands of drivers across the nation as they identified the rewards they want most; the result – Momentum – is a customized program being built from the ground up by Uber. It recognizes the tremendous service our partners provide and is designed to help drivers stay healthy, grow their business and reduce overall operating costs. Finding affordable, effective health insurance is top of mind for many drivers, so as part of Momentum, Uber is partnering with Stride Health* to offer an innovative and first-of-its-kind healthcare “recommendation engine” to all driver partners at no cost — and just in time for open enrollment, which began Nov. 15. Drivers will be able to efficiently navigate the process of comparing health insurance options side-by-side and find the single best plan to fit their lifestyle. The experience has been customized for Uber driver partners to be as seamless as possible – and can be completed in 15 minutes or less. Stride Health will also assist drivers in using their coverage throughout the year. Momentum extends significant, exclusive discounts of up to 15% at major auto maintenance retailers like AutoZone, Firestone, Maaco, Meineke, Midas, Jiffy Lube and Valvoline. Whether it’s new tires, a routine oil change, or a fresh coat of paint, partners now have a personal pit crew at over 10,000 locations nationwide. We’re working with top wireless carriers to deliver deep discounts on wireless services. Discounts start at 15% and also extend to any eligible driver’s immediate family. 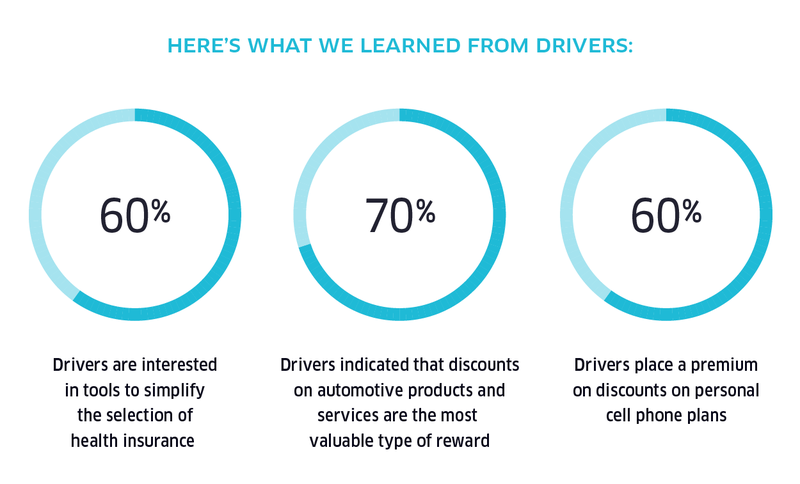 We greatly value our driver partners and are always looking for ways to enhance their experience with the Uber platform. So stay tuned — this is just the beginning of Momentum, and there are many more exciting and meaningful driver rewards to come. * Stride Health is available to partners initially in California, Illinois, Florida, New York, Pennsylvania and Texas and will expand to all states where Uber is available in 2015.